Tonight’s National Championship game between Clemson and Alabama features two teams that have given their best since long before the season began in September. 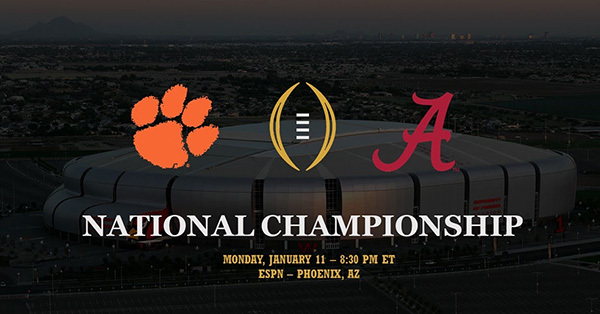 Now, on a mid-January Arizona evening, one team will earn a championship … and one team will live with an agonizing defeat. That’s one of the lessons we see played out vividly in WOODLAWN, which comes out on Blu-ray and DVD next Tuesday, January 19. Another key lesson lived out in the movie: the power of forgiveness. That’s something Clemson coach Dabo Swinney understands fully. Coach Swinney’s story of forgiveness is beautifully told in this article you’ll want to read—even if you’re a ’Bama fan. If you’re cheering for the Crimson Tide over the Tigers, here’s a link you might also enjoy: Jon Voight talking about playing the role of Paul “Bear” Bryant in WOODLAWN.